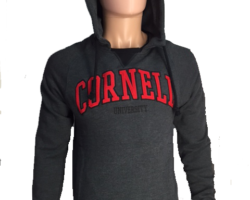 The Zone 3 Pullover is a Charcoal sweatshirt made out of 70% cotton and 30% polyester material. 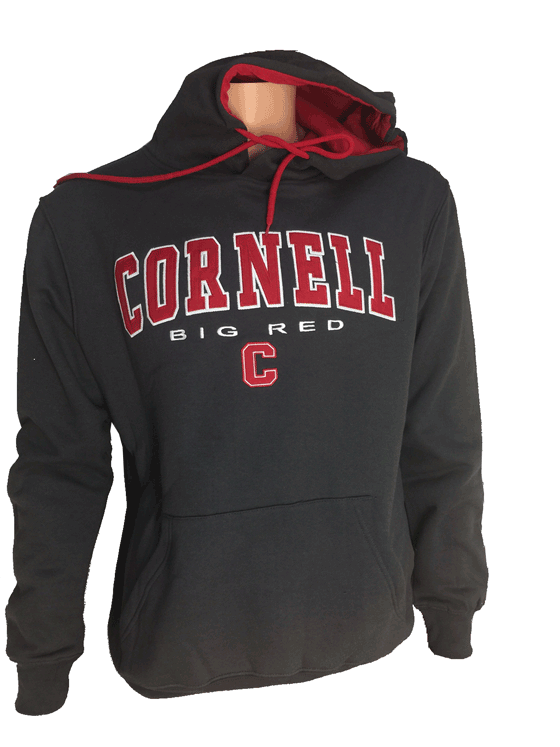 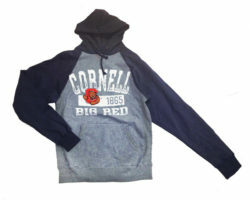 The front has Cornell embroidered in block red tackle twill letters with a white outline. 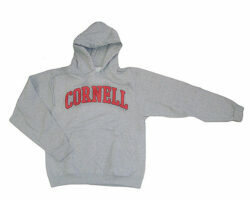 The hood has a red lining to match the logos on the front which adds a nice detail to the look of this sweatshirt.